Warning: this article has been written with the assumption that the reader is familiar with at least the first season of the show. Although efforts have been made to avoid any major spoilers, this writer apologises if any spoilers for the first season are revealed. 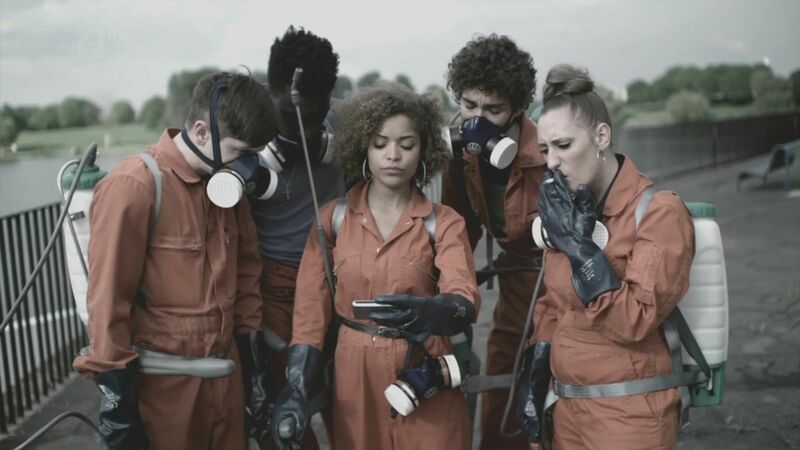 As much as the first season of Misfits was about isolation, the second season is about togetherness. The band of juvenile offenders have survived multiple murders and Nathan finally learned his superpower – a real A-lister. We are introduced to new characters with new powers, but ultimately this season is inconsistent, confused and riddled with logical inconsistencies. The second season starts where the first season left off: with Nathan, who tends to take a backseat this season, but still remains the show’s most interesting and entertaining character. This rings especially true as we spend more time with Alisha, who is as two-dimensional character as her power is, as she gets to know the mysterious man who keeps showing up and saving the Misfits from perilous situations. A true deus ex machina. Unfortunately though, what begins as an interesting, compelling part of the show quickly becomes the show’s weakest point. It is disappointing, given the first two episodes in the season are probably the best in the entire series, but it appears the showrunners have taken more of a comic angle this season, far removed from its first season. Given it’s a show about superheroes, it’s far from realistic, but even in this heightened reality, at least the first season felt grounded. This season very quickly spiralled out of control. We have a new probation worker, and a rather excellent one at that. With a total disregard for the Misfits, he neither knows nor cares what happened to the previous two probation workers, and writes off the possibility of Murder by Misfits as preposterous. After all, they’re stupid and lazy, which is why they’re in community service in the first place. Unfortunately though, the show falls into the inevitable trap of predictability. Every character has a power, and we know they have to come into play at one point or another, but when you can actively predict who will use their powers and when, any sense of fun and suspense is removed from the show, and all we are left with is the human element, which also struggles on a fundamental level this season. Gone is Nathan’s mother, as he continues full time residence at the community centre, but appearing now is Nathan’s father and long-lost brother and also a second power for Nathan, which actually only seemed to be written in order to advance this particular episode to its end point. The power is mentioned again in a later episode, but is rather useless and is obviously treated as such by the film’s writers. We get glimpses of the future, and while it would normally be exciting learning how each character reaches this future point, the logical inconsistencies with its delivery halts an otherwise interesting idea in its tracks. This predictability throws a blanket over any kind of tension which should have been raised in its finale, as dairy-controlling madman wrecks havok on the town, and the characters seem to be forced to their future points, rather than any organic transitions.